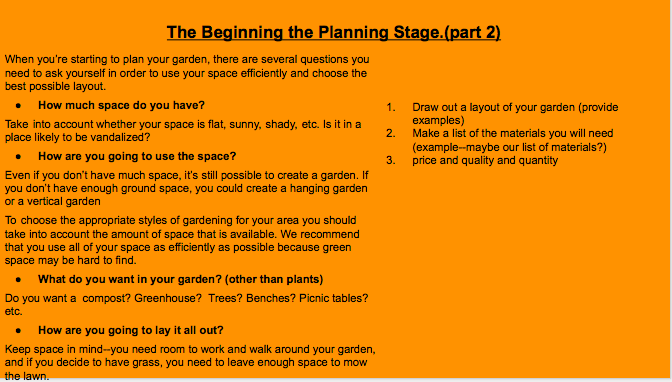 This year we are taking on of the project of creating a garden manual. Mr. Truss (our principal) has been urging us to do this for about a year now, and we finally decided that this was something we wanted to do this year. 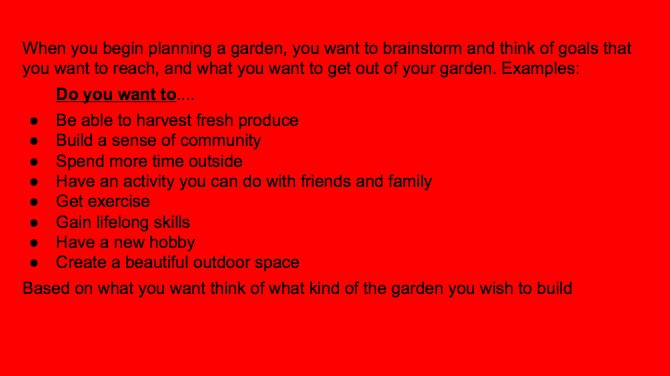 This manual is going to be a “how to” of school gardening. We are hoping that it can be something we can pass down to other students so that they can continue from where we left off. We also hope it can be used by other schools to help them start gardens and maybe help people to start up community gardens. This is a full year project and we may even extend it to next year. Right now we are working on the bare bones, and the outline of what we are doing. After that we are moving on to editing (a lot of editing). We are also, working on making the manual more personal. We’re excited to see where this will go, and how it will help others in the future. 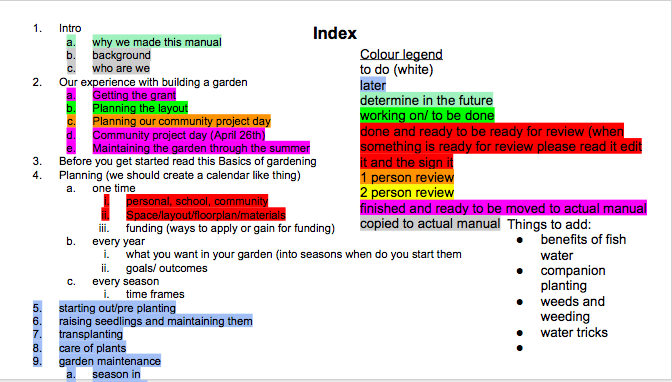 We have quite a complex index and colour system. 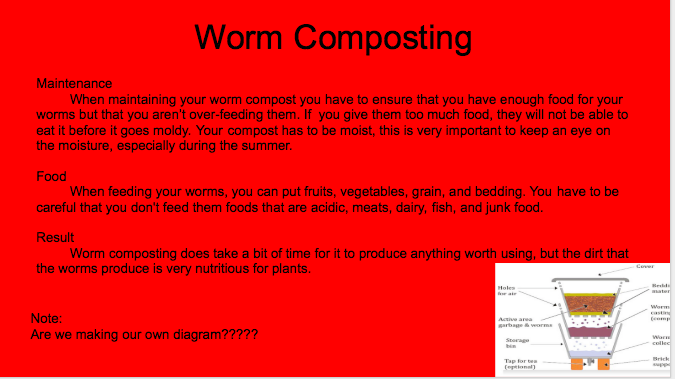 Examples of some of our pages…as you can see we still have A LOT to do!